A hiking watch is part of my checklist when packing for a hiking trip along with my GoPro camera and hiking mounts and accessories. 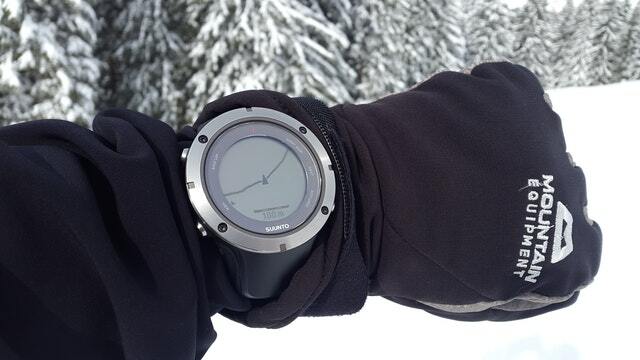 Hiking watches have become quite advanced and modern. Not only do they show the time and the date, but these days majority of the good hiking watches come with features that assist in your hiking and keep your health in check as well. Some of these features include a GPS, compass, weather predictor, altimeter, barometer, heart rate checker and more. Now some watches may have all of these features, while others may have only a handful of them. The number of features usually depends on the budget and the brand you are going with. Note that you may find yourself attracted to a cheaper hiking watch that claims to have all the features. Usually, any such watch is a Chinese knockoff and will, in no way, have any premium features that usually bump up the price of the watches. Now you may be wondering that how can you get yourself a hiking watch, without falling for a knockoff or low quality model. Do not worry as in this review I am going to discuss, with you, how to pick out a hiking watch while listing the best hiking watches for 2018. Note: The hiking watches list in this review has been continuously updated to give you only the most popular and reliable models in the market. If it is the first time you are purchasing a hiking watch or you have had a bad experience from purchasing one before, it is a good strategy to learn how to pick a quality hiking watch. I will give you some tips in this buying guide section regarding what to look for when buying a hiking watch and the features which should make or break the deal for you. Any good hiking watch should have a mix of navigation, altitude and weather checking features. Of course, at times you may not get all of them in one watch, but generally most high quality watches have them all, which makes it a good sign to judge a watch with. For help with navigation, the watch must come with a compass. This is usually found even in the lower end of hiking watches and is an expected feature. It gives you your position through the four cardinal (North, South, East and West) and the bearing. This makes it quite handy for determining your location and also ensuring that you are moving in the correct direction. 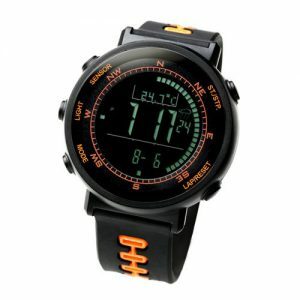 An altimeter helps you in determining your altitude by showing you how high you are from the sea level. It uses a barometer inside or GPS to make this determination. Most high end hiking watches have a GPS backed altimeter, as it is more accurate and requires no calibration to use. Using an altimeter and a compass together, you can easily estimate your current position on a map quite precisely. For checking and predicting the weather as you move along your hiking trail, you should have a barometer installed in your watch. A barometer can measure the changes in atmospheric pressure and hence can give you readings to predict the weather, including the buildup of any storms. If the atmospheric pressure is increasing, the weather is about to get sunnier and clearer (improving), while on the other hand if the atmospheric pressure is decreasing, it is a sign of rain or a storm growing (worsening). A good barometer feature will even have a storm alarm to directly notify you about the imminent danger in weather, so that you can make appropriate arrangements right away. You may also find thermometer on some of the hiking watches, however having one is not a must. A thermometer is handy to tell the temperature outside so that you can dress appropriately. It works best when the watch is not on your list, as otherwise the temperature can be influenced by your body heat. This is a no-brainer. 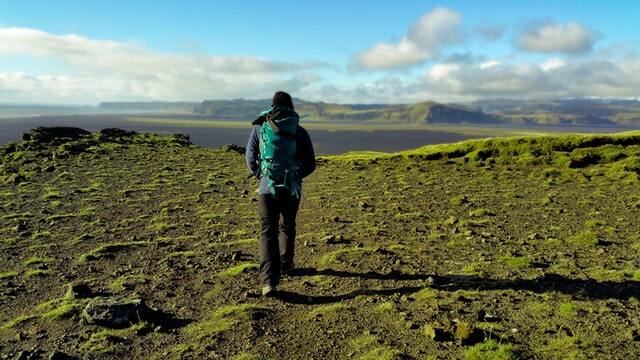 Hiking can be a grueling experience on your body as well as the accessories on your body. You need a watch that has a solid construction, impact resistant straps and case, a high quality glass (preferably scratch free), etc. What could be worse than having your watch broken while you are at the top of an uninhabited mountain? Check for the durability of the watch you purchase. If you get a high end or a premium hiking watch, you are definitely going to get a GPS in it. In less advanced hiking watches, a GPS may not be guaranteed. However, it is desirable to get a watch with a GPS since you get to know your coordinates instantly. Depending on the GPS on your watch, you can also get updates regarding wind speed, distance, altitude and other common GPS based information. You can also update your routes, in GPX format, on your watch and use them to navigate yourself accurately and track all your activities. Some GPS watches can connect to mobile apps and give you a history of all your hiking activity, like time traveled, distance traveled, ascent, descent, speed, etc. Do note that having a GPS activated on your watch will reduce your watch’s battery. Having a heart beat meter on your watch is quite handy as it will give you guidance to help maintain a steady pace through the hike, which is especially required when travelling in groups. These are all the features that should be in your hiking watch. You may find other features as well, but as a general rule, keep the aforementioned features as a check list when you are selecting a hiking watch. Garmin is the authority brand in the world of hiking watches. Its Fenix line of modern hiking watches have been huge successes, with the Fenix 3 ruling over for many years. 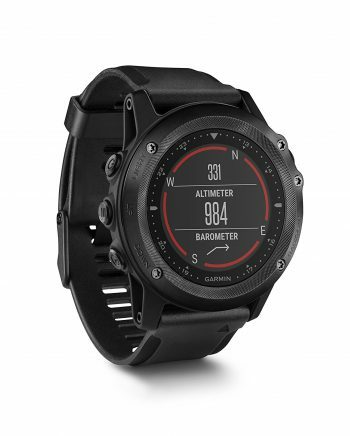 Now, finally, Garmin has introduced a new model in this line called the Fenix 5. There is little surprise here that soon after its release, the Fenix 5 became an instant it. The watch takes an approach of combining the best of a smart watch and a conventional watch. Its dial has a great contrast and a high resolution, giving you a clear view even in the harshest of conditions. The body of the watch is quite rugged, with stainless steel bezel protecting the dial, reinforced rubber straps giving an assured wrap and sapphire glass lens resisting any scratches. However, despite these security features, the watch still looks quite stylish and appealing. The Garmin Fenix 5 is loaded with features that are bound to excite you. Elevate Wrist Heart Rate Technology helps to monitor your cardiac rate and assists in maintaining steady pace. Widgets to personalize the watch and keep key performance stats on front display. Smart notifications and backups through Garmin app. GPS and GLONASS satellite reception to keep you moving in the correct direction. 3-axis compass with gyroscope and barometric altimeter for weather alerts and navigation assistance. Water proof up to 100 meters. Bluetooth enabled, with low energy to save battery. Topographic and cycling maps for ultimate convenience on the go. The watch is compact and light in weight, sizing 1.9 inches x 0.6 inches x 1.9 inches. It is a great accessory to keep on while you are hiking, mountaineering, cycling, running, climbing, trekking, etc. Overall, the Garmin Fenix 5 is an incredible and a super versatile timepiece to have on your wrist. Suunto has been a pioneer in adventure and extreme sports watches. Its products have been revolutionary in terms of design and innovation. The Ambit 3 is a flagship watch by Suunto and is, perhaps, one of the best hiking watches. What’s noteworthy about the Ambit 3 is that it gives special preference to convenience and durability, instead of having gimmicks that may appeal to people, but are of no practical use. The watch has a clear and simple display and an easy to handle user-interface. The watch is quite robust and is made to take impacts, without showing any wears. The bezel is protected by a metal ring, while an ergonomic rubber strap keeps the watch secured on your wrist. The dial has sapphire glass lens, allowing it to stay scratch free and show a clear display. The Ambit 3 can provide you ample data for a calculated hiking experience with thermometer, altimeter, barometer, compass, heart rate monitor and storm alarm embedded inside. All the features provide smart notifications while you are on the go. There is a GPS navigation system that is quite easy to use and is compatible with GPX maps. All your data is stored in the Movescount Suunto Application for tracking and analyzing. The rate belt is provided with the watch which calculates the heart rate. Bluetooth compatibility allows you to receive your cell phone notifications directly on your watch screen. 200 hours of battery life. Suunto app allows you to take photos and make videos on the go and share it with your friends. The Ambit 3 is not quite subtle. It is bulky and makes itself known. You might not prefer it if you like a minimalist look, but that does not mean that it does not execute its promised functions well. 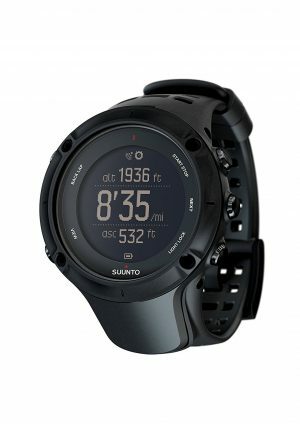 All in all, the Suunto Ambit 3 is a favorite for many people. It provides an exceptional value, especially when comparing its price with other high end hiking watches. Casio is an old school name when it comes to watches. The company has excelled at making timepieces that last for generations. The Casio PRW 2500T-7CR is one of their most popular watches and a part of their Pro Trek series. It has the unique Casio face and dial cut, making anybody notice it the moment they put their eyes on it. The watch case is made from stainless steel, while the band is made from titanium, and together, these two make the watch super durable. In fact, it can take up regular beatings and strains, without showing any problems. The dial window of the watch is made from mineral and is protected by an aluminum bezel. With so many different metals used in the buildup, the Casio Pro Trek is a tank and should stick with you for several decades. Battery lasts for a maximum of 23 months with power saving mode on! While this Pro Trek watch does not come with a GPS or a heart rate monitor, it is still a great watch for hiking as it is super durable and requires minimum investment. It can be used for all kinds of adventure activities, plus even as an everyday watch. The quality to price ratio for this watch is off the charts. Plus you also get the Casio assurance! The Casio PRW 2500T is quite a watch to have. If only it had a GPS it would be perfect, but at least you have a GPS on your phone as a backup. 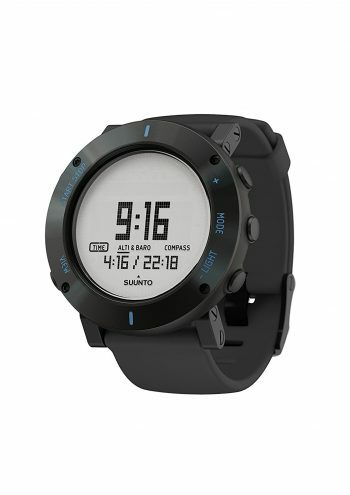 Suunto’s experience in making quality adventure sports and hiking watches means that it is no surprise that I have added another one of its products in this. The Suunto Traverse is a more visually appealing watch compared to the Ambit 3 reviewed above. The watch’s case is made from high quality plastic compound, while the strap is made from rubber compound (silicone or textile). The round dial is protected by a raised bezel and has a sapphire glass lens for clear viewing. The Traverse comes with all the regular positioning and navigation features like altimeter, barometer, thermometer and digital compass. It also has GPS and GLONASS system installed and can support GPX routes, which can give you real time positioning, coordinates and topography of the region you are hiking in. No chances of getting lost! 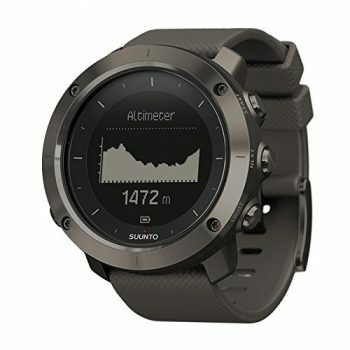 Like other high end Suunto watches, this one also comes compatible with the Movescout application and other support apps. You can play around and tweak the watch according to your taste. There is Bluetooth support, which allows you to sync your phone with the watch and receive data directly on your watch’s screen. Other handy features include vibration alerts, step counter and backlight. These are features that even the Armbit3 does not have. The Suunto Traverse is a chic and stylish watch. It comes in various color schemes and is perfect for adventure sport lovers, including hikers, mountaineers, climbers, etc. You can even sport it on a normal day and get appreciation from your peers due to its uber looks. While Suunto Traverse lacks some features, it is still a solid choice for a hiking watch, given that you can do without multisport and Bluetooth POD modes. Yet another Suunto watch and this time it is from the Core Crush series. The Core Crush is a quality hiking watch that not only performs well but also looks cool to show off. It is a good choice for people who love hiking but are not bothered about having a GPS watch to guide them. The watch is built to last for several years, with a mineral glass lens, composite casing and a silicone band. The silicone band can be replaced with a band of your choice, but at an additional cost. (The Core series also have Premium and Classic versions that are worth checking out). The Core Crush comes with compass, altimeter, barometer and thermometer installed in the watch. The altimeter and barometer modes are smart and can automatically provide weather updates on the go, without you requiring to tweak their settings or get readings off them. You can also read an atmospheric pressure graph and indicator to get weather predictions. Moreover, there is notification in case the watch detects a storm rising. Basic information like time telling, alarm setting, dual timing and sun timing is on the face. The face of the watch has high contrast and is easy to read. Replaceable battery with a year of battery life. Simple user interface allows anybody to use the watch. Super durability makes it a great choice for all adventure sports lovers, including hikers. 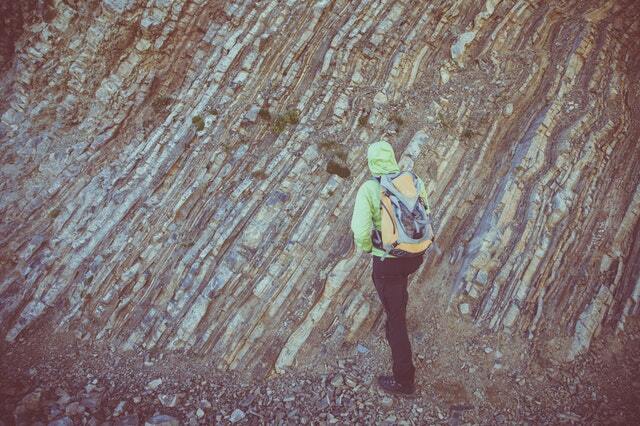 The Core Crush can be worn by you for most adventures including climbing, mountaineering, biking and, of course, hiking! The directional rotation ring is difficult to turn. Alarm sound is difficult to hear, especially in crowd. The Suunto Core Crush is one of the best options for you if you do not want a GPS with your watch. While the lack of GPS may make it seem a bit lacking in features, but its attractive price makes up for it. While not quite in the league of the Garmin Fenix watches, the Garmin Tactix is still several notches above an average hiking watch. It brings together the best of the tactical and adventure sports worlds, making it an ideal watch for those who have a flair for military grade items. The Tactix is an all-black model, made from non-reflective and scratch resistant materials. Its casing is constructed from metal, while the band is made from a rubber compound. Like most hiking watches, this one too has a raised bezel to protect the lens, which is made from military grade mineral glass. Green backlight and night vision to show off its military origins. Watch is compatible with other night vision devices as well. It comes fully functional with altimeter, barometer and compass are all automatically calibrated through GPS. The barometer has a trend graph that shows on the screen and allows you to predict the weather. Waypoints and routes can be uploaded on the watch as it supports the GPX files. The watch tracks your journey and stores all the data inside. It provides during and post journey analytics for you to optimize your way. It also helps to track back your way from your starting point, in case you get lost. Heart rate monitor keeps your condition in check and allows you to maintain a steady pace. Bluetooth compatible, which means that you can sync your phone with the watch and have all your notifications displayed right on the face. The Tactix is a sweet timepiece for most recreational hikers. It can even be used for other types of adventure sports. However, it is a bit bold for usage in daily life unless you want to show off your watch. Overall, this watch is a great choice for a hiking watch and will stand up to anything you throw at it. Casio Pro Trek series has another watch that has impressed me quite a lot. The PRW 3000-1A is a more advanced version of the PRW 2500, reviewed above. I would recommend it to Casio fans who are looking for premium experience. If you liked the Suunto Core Crush I reviewed above, you are going to like this watch as well, due to its noticeable similarities in functions. Aesthetics wise, the watch has the bold Casio face. Its casing is made from stainless steel and the dial window is made from mineral glass; meanwhile the band is made from a resin compound. 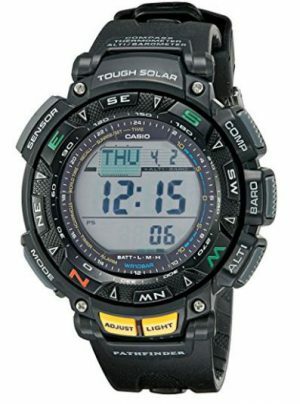 Like all Casio hiking watches, this one too has a raised bezel to protect your dial from any direct impacts. The PRW covers all the basic hiking watch features including having digital compass, barometer, altimeter and thermometer. The compass has magnetic correction mechanism and the bearing has memory, which helps in keeping track of your position without having to calibrate the device again and again. The barometer has a trend graph, like most of the top watches in the list, and this will help you predict weather quite easily. The pressure change indicator will help you get ready for any coming storm and make changes in your route if required. Other basic features include countdown, calendar, alarms and sun data. Since the watch is powered by a solar panel embedded in the face of the watch, you do not have to worry about recharging or replacing the battery frequently. At full charge capacity, the watch can operate for seven months without any light. The time in the watch is automatically calibrated six times a day, so there is no chance of having inaccuracy. This is a watch that is great for all kinds of adventure sports including mountaineering, sailing, climbing, skydiving and hiking. If you want to purchase a Casio watch for hiking, this is probably the best choice you have at the moment. Now Lad Weather is not an everyday brand for most of the people out there. In fact, even I was unaware of it until recently. However, once I got to know about the company and its products, I realized that I was missing out on a great budget brand. You might not expect this watch to do much, however, it comes loaded with several features and a solid two year warranty. The watch itself looks durable, with a heavy-duty plastic casing and polyurethane band. The band can be replaced to personalize the watch, at an extra cost. The dial window is made from acrylic and does okay, given that the raised bezel protects it from any direct impacts, much like a Casio. For the price its come at, the features of this watch really blow other budget hiking watches out of the ring. You will find most of the common hiking features installed in this watch, including altimeter, barometer, thermometer, etc. The weather function in the watch tracks the atmospheric conditions and automatically sends you notification in case a storm is coming. The negative display allows you to view the data on the face even under direct sunlight. For the night time, there is a backlight installed, which can be activated by using the respective push button. You will also find a digital compass on the watch, which can be calibrated to give accurate positional data. The barometer and altimeter can store the data for the previous twenty four hours and allow you to analyze the data for making your trip optimal to the conditions. Did I mention that the watch comes for under hundred bucks? You may feel skeptical about the quality of the watch, given that I warned you about Chinese knockoffs and too-good-to-be-true watches in the market. I got to say that this model is an exception to my recommendation. You can use it for casual hiking journeys, but I would not recommend this watch for extreme ventures like mountaineering. While this watch would not match up with some of the premium listings I have put in this list, it certainly is a great option for hikers who do not want to spend much money or are travelling on a shoestring budget. Timex is an American watch making veteran. Its products are generally seen as reliable and long lasting. The Expedition watch is no different. The Expedition watch is one of the most basic timepieces that you can take for hiking and be assured that your watch will not malfunction. Well, although it looks quite flimsy, it actually comes with the trusted Timex digital mechanism and has been made to do the job, without being shiny or glitzy. This allows the company to keep the cost down and for you to get a quality hiking watch for cheap. The watch has a steel casing and a nylon band that secures itself to your wrist through a hook-and-loop lock. The dial window is made from acrylic and is nothing out of the ordinary. Despite its low price, Timex has included quite practical features in this watch, which will be appreciated by most casual hikers. This is a good watch for hiking, cycling, snorkeling, swimming, rowing and other similar sports. All in all, this watch is not meant for extreme hiking ventures. It is a great tool for basic activities and does what it says, without any gimmicks. 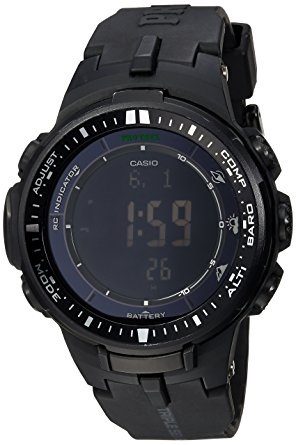 So I am going to wrap up my list of hiking watches with a Casio product. Again, Casio needs no introduction. Everybody knows that the company is all about providing the highest quality and most durable watches. 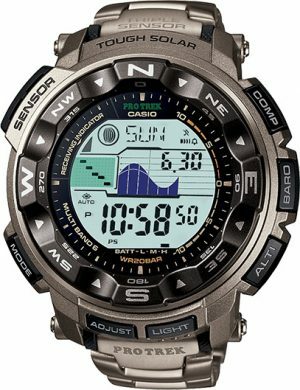 The PAG240-1CR is one of the best model of Casio’s Pathfinder series. It is a mid-range watch and combines functionality with user convenience to make itself a very popular choice among hikers. The metallic casing, combined with the resin band, makes the watch super sturdy. The dial window is made from mineral glass and is protected by a raised resin bezel. The watch is very user friendly. All the data on it is large sized and easily viewable. The watch comes with the standard hiking features such as the altimeter, barometer and compass. The buttons for each feature are quite visibly labelled for easy access. The sensors are very accurate and have the same mechanism which is used in premium Casio watches. The watch can operate in all kinds of conditions, including extreme hot and cold weather. All the push buttons on the dial are ergonomic. There is a low light mode and backlight for usage during night. The watch has standard features like countdown, stop watch, sun data, alarm, etc. The PAG240-1CR is a great choice for people who value quality and functionality, but have a budget to stick with. The watch can be used in all kinds of adventure sports and for extreme hiking journeys. Overall, this Casio Pathfinder watch is functionary and convenient. It can be a great option for regular hikers and adventure sport fanatics. All the watches listed above are of high quality and have received a great response from previous buyers. If you love hiking and go out regularly, but do not have one of these watches, you are missing out! 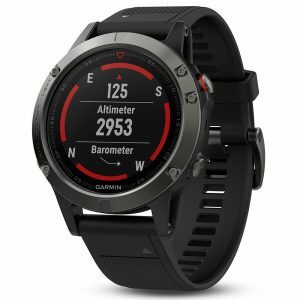 From the list above, my favorite choice and the most recommended watch for hikers is the Garmin Fenix 5. It is a premium model and hence it is quite expensive. However, if you have no qualms in spending money and want the best of the best, getting this watch is a no brainer! For budget hikers, the Suunto and Casio watches will do the job quite nicely. In fact, some of the Casio watches I have mentioned have features that can give competition to expensive watches. 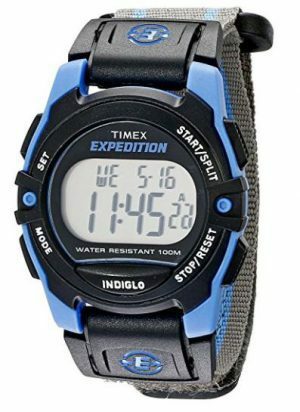 In case you do not want any GPS or sensors, you can always opt for the Timex Expedition watch. Quite frankly, even though it is a basic model, it is probably one of the most pragmatic timepieces I have come across. I hope you liked my list of the best hiking watches for 2018! Have you tested any of these watches? What a great article on hiking watches. I love watches and am planning a hike in the near future, so I’m looking for a good watch. I wish you had included the actual price range of each watch. I think it’s nice to know the approximate price range. Does the GPS feature always work or do you have to be tied to a phone service? I’m also curious as to if there are smartphone apps that can do the same thing as a hiking watch? It seems like there are apps that do everything. I’m glad you found my guide interesting. Indeed, these watches are the best for hiking for 2017. I haven’t included the prices because they always change but you can find the price on Amazon by clicking on the links I provided under each watch. Yes, the GPS feature works without it being tied to a phone service, it uses satellite connection. They are a few apps but they are not as accurate as these hiking watches. Accurate measurements are really important during a hike. Also GPS won’t work on a smartphone unless you have network coverage.